This project is made possible thanks to the involvement of the Emilia Romagna region, the town of Nembro, in the province of Bergamo, and the ASA (the Brazilian Semi-Arid Joint Endeavour). The State of Piauí covers 3% of Brazil and is the tenth biggest state in the country. Geographically it is an area of transition between the semi-arid north-east and the pre-Amazon area. The São Francisco River is the only year-round river in the state and is around 1800km long, but like the region’s lakes it is also under threat from the scorching climate and the meagre rainfall, which are mainly caused by the intense deforestation that is taking place within the state. The third sector makes up around 70% of the Gross Domestic Product of Piauí and is one of the state’s main inter-regional trades, but the revenue generated there usually ends up being transferred to the more developed states as a result of various tax rules. Agriculture here started almost entirely as a means of self-sufficiency and then turned into a small commercial activity that has never been big enough to satisfy the demand of the entire state. The main crops are corn, beans, cassava, sugar cane, soya beans and cotton. The poor living conditions have sadly caused some cities in Piauí, such as Acaua and Guaribas, to have the lowest life expectancy of all Brazil: there it is just 58 years, whereas the national average is 72 years. to support the programme of farming activities and training for the families by making water tanks and farming available, so they can have a decent chance at reaching their goal of enjoying three meals a day and laying the foundations for a decent life. to make clean drinking water available and free for thousands of families, so that they can stop depending on private water supplies. to guarantee access to water to around 250 families by building lots of tanks to collect rainwater. to encourage families to farm and create cooperatives between individual local producers by building 230 chicken coops and 230 goat farms. to build a Farming School in order to educate the local population in how to run the new farms and cultivate the land independently now that they have the water tanks. Support for the farmers and the Farming School in the Tapera community and the creation of the Community Vegetable Garden. The project revolves around rural and agricultural development and in particular programmes which are based on achieving self-sufficiency, maintaining an adequate food supply, conservation and appreciation of the land, bearing in mind the role of women and children. To teach boys and girls about the composition of the land and how to farm in the semi-arid region, by extending the Tapera School to give them a decent place to learn. to give the region’s young people a decent and suitable place to be trained in, to assure them their farmers’ rights at a time when the large landowners are trying to take possession of all the smaller properties, and to defend their local history and culture. to fulfil their right to a good quality education which should be available to everyone, not just those who can afford to attend a private school. to stop the younger generations from abandoning the countryside and migrating to the big cities. to set up a scheme which will allow the school to be self-sufficient as far as fruit and vegetables are concerned. to teach boys and girls how to make the most of the semi-arid region. to encourage good citizenship within the community. The main benefit of the project is that the younger generations will be trained specifically about the farming of the land and will therefore be able to improve the quality of life for themselves and for everyone else. Better training for individuals is important for the whole community. It will also improve equality between men and women in several aspects. The young people who are trained in the school will surely have more success in the agricultural industry in the region, either by working on their family’s own land, or by working in other local farming businesses. Creating the community vegetable garden, the goat farms, building up the school, and resolving the transport difficulties the children were having to get to the school. Hundreds of families who have received land from the government are settling into the region surrounding the town of Pedro II. Hence the ‘Zero Hunger’ project has become necessary to continue providing education for the new landworkers’ children, as well as for the original local children. It is essential that the young boys and girls have a decent school close to home which can teach them as best as possible how to cultivate the semi-arid land which is found in the area. So the local community decided to improve the school by creating a vegetable garden, tanks to collect rainwater, goat farms and chicken coops, etc. The local residents have a strong interest in educating their children adequately as this way everyone can benefit. The school is also a good way to reinforce equality between men and women, as there is no discrimination in who can study at the school. It offers the young people the fantastic opportunity of staying close to home and to their families, instead of going off to try their luck in the outskirts of the big cities, with all of the problems that that entails. The project involves creating the community vegetable garden and installing a tank to collect rainwater. It is of vital importance to the community as it gives 150 boys and girls the opportunity to receive better training, which is more appropriate to their particular region, Tapera. They can then develop biological agriculture, keeping the composition of the land in mind. Living on and working the land and the environment is very important, but decent training is required. The farmers’ families will benefit lots and it will prepare future generations to continue working the land. Offering training is an incentive to young people to stay in the countryside and not go, like many other young people their age, in search of work in the big cities, where they are often greeted only by a different form of poverty. The school also helps to teach gender equality. In the next generation equality should be the norm and not the exception. Everyone has a right to the same education and the Farming School also teaches good citizenship. the families need to have land and learn how to cultivate it and look after livestock. the families need water and relief from eight months of drought. the families need training in order to be able to take responsibility for their future and to be aware of what is going on around them. the families need to get organised in order to benefit from social services which will improve their lives. The project began on the 30th November 1991. Encourage true citizenship in the semi-arid region in social, cultural, economic and religious terms, in both the rural and urban areas, working together to improve education and to give training opportunities to those who otherwise would not have had any. Integration into Piauí’s Forum of Organisations with fortnightly meetings, participation in the North-east Volunteers’ Aid association with two annual meetings, participation in the State’s Environmental Council, in the district’s Social Assistance Council and in the district’s Children’s and Teenagers’ Rights and School Meals Council, participation in local organisations’ events such as ‘Water Week’ and ‘Environmental Week’, meetings with governmental and non-governmental organisations from the Pedro II region, and the regional and national CEBI. The Federal Government, the Brazilian Banks’ Federation (FEBRABAN), the Ministry of Social Development and Fight Against Hunger (MDS), Crédito Fundiário, Piauí’s State Government – the State Education Secretary, the Programme for Living in the Semi-arid Region, the State Environmental Secretary, the Ministry for Culture, the National Supply Company (CONAB), the District Education Secretary, Group Claudino, the District of Pedro II, the Diocese of Parnaíba’s Community Fund, the German Pedro II Missionshilfe, the German Päpstliches Missionswerk der Kinder, German groups and individuals, the German Ein Körnchen Reis Foundation, the German Campo Limpo association, the German Pirapora association, Modena Terzo Mondo, the National CEBI and the Brazilian Semi-Arid Joint Endeavour (ASA). The project began in 1992. Help preschool children to develop their physical, social, cultural and religious potential and to integrate into their family and social context by giving them a good quality education. 85 children aged from 4 to 6-years-old, from 77 families, mainly from communities which do not have state preschools. The project began in 1991. Help the community to improve its living conditions by providing religious education, situated in its political and social context. 240 people in rural communities who attend 16 Bible Schools. The project began in 2001. Provide an adequate education which encourages the process of adaptation to the semi-arid land. There are on average 110 primary school children and 55 secondary school children, who all come from families of farmers. Full-time educational activities: the pupils attend school from 7:15am until 5pm, learning about agriculture and livestock farming. ‘Shoo Rubbish’ Project (Xô Lixo): involves discussions, research and activities related to the agricultural industry’s impact on the environment and the impact of inadequate rubbish disposal. ‘Clean Stamp’ Project (Selo Limpo): involves visits, workshops, distribution of information and activities in schools and some areas of the town regarding the disposal of domestic waste. ‘Seed of the Land’ Project (Grão de Terra): deals with topics linked to the earth, focusing on two aspects: the Agrarian and Environmental Reforms, with other activities and motivating debates. Culture, Environment, Citizenship and Art Project: aims to motivate young people living in the semi-arid area to develop their cultural skills, creating job opportunities and income in the community. More than 200 young people have participated in the 22 meetings held so far. Horticulture: the study of plants, specifically for their nutritious qualities, plantation techniques, preparation and cultivation of flowerbeds and organic composts, and evaluation of this form of farming. Goat breeding: managing a flock of up to 82 goats, food production and health checks. Beekeeping: managing a beehive, capturing a swarm of bees, honey collection and the study of plant pollens. Poultry farming: food production, epidemic control, egg production control and management of up to 145 hens. Organic fields: support for five organic fields in rural communities and in the school’s experimental field. Art workroom: drama, dance, recycling paper into note paper, manual work, alternative medicines and communication. Sense of Reading Project: encourages 10-year-old children to read and write, taking into account that everyone has a different level of ability. Sporting and cultural activities, fairs, literary exhibitions, excursions, environmental research, competitions, seminars, film showings and radio programmes. The project began in 1993. Set up and support rural associations, helping them to develop productive projects and to obtain their basic rights. 19 associations in rural communities with around 670 members from the towns of Pedro II, Milton Brandão and São Francisco. 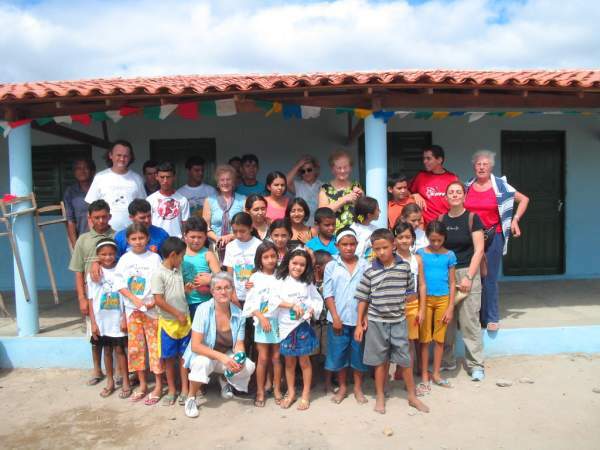 Projects which help the families: the Environmental School’s Parents’ Association is made up of around 150 families. Of these families, 43 were already part of the Programme to Beat Rural Poverty, which encouraged poultry and goat farming and beekeeping. Meetings in state schools and in rural communities. An Environmental Fair: demonstration of farming techniques and presentation of the results of research carried out on the semi-arid land. Mass is provided by the school for students and researchers. The Environmental Family Project held in May for the pupils’ parents. The Literary Fair focused on books by regional and national authors. Alpargata – 24 families, an area of 1,200 ha. Frasa – 28 families, an area of 1,283 ha. Veados dos Matias – 15 families, an area of 1,601 ha. Nova Terra – 63 families, an area of 3,484 ha. Pitomba de Leite – 21 families, an area of 640 ha. Descoberta – 11 families, an area of 281 ha. Training and Social Mobilisation Programme for adaptation to the semi-arid region. The project began in 2003. Implement the ‘Thousand Water Tanks’ programme in collaboration with the Brazilian Semi-Arid Joint Endeavour (ASA). Between July 2003 and December 2008, 4,357 families were mobilised and 4,357 water tanks were built in 15 towns. The project began in 2004. Promote communication which improves living conditions by spreading information on organised social movements. 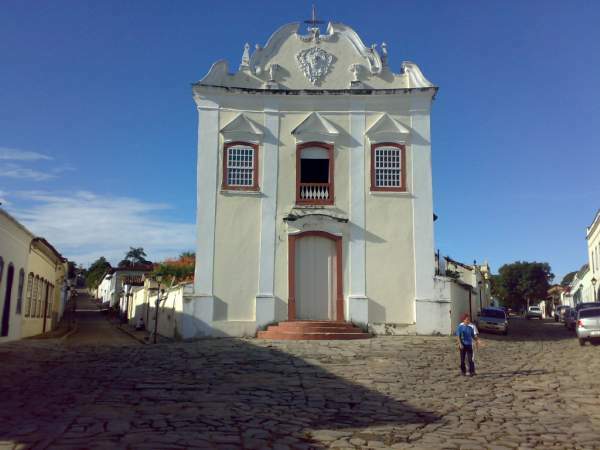 Including the radio, internet, newspapers and pamphlets, it is estimated that more than 70,000 people have heard about the activities in Mandacaru. Religion in Tapera is very important. The majority of the families are Catholic and during the weekend they get together to celebrate Mass and read the Bible. At certain times of the year the services attract a very large number of people. A recurring problem in Piauí and mainly in the Pedro II region is that anyone who needs to travel to the city, 40km away, travels by car with no protection from the sun or the dust. Since the multi-purpose school in Tapera was built with the support of Italian organisations, the region’s children have been able to study in a better-built school which can now take in up to 140 pupils. The community’s families have always worked together to improve their living conditions. For example, the families offered several days of help to build the school. With the left-over building materials from the construction of the school and with the help of local residents, they were able to restructure the community centre where they hold meetings and parties. Almost all of the region’s 80 families drink water from wells like the one at Tapera dos Vitais, which provides water for 25 families and their livestock. Challenges and achievements: from the very beginning the big challenges that have arisen have been overcome by combining the efforts of all the institutions involved in the project. The first challenge was to create jobs and income, meaning that people did not have to leave their hometowns to look for work in bigger cities. In order to do this, the project gave technical support to the livestock farmers. It then dealt with the demand for an education for everyone and built a school with classrooms, desks, toilets, a dining hall, a cellar and a vegetable patch. The most recent achievement, following a tough struggle, was to have a health centre built, which was officially opened on the 28th June 2008. Soil: the type of soil found in the region is not appropriate for the majority of the foods that the families eat, like millet, cassava and rice. The families’ best alternative is to raise livestock such as goats, chickens or pigs, or to produce bee’s honey. The products derived from these activities can be sold, the income from which can be used to buy all the necessary foods for a family. In Piauí there are various different climates. In the semi-arid region there is a big difference between the southern part, where it rains a lot, and the northern part, where rainfall is a much less frequent occurrence. In the Tapera region, in the far north of the state, there is on average 400-600mm of rain over 3 or 4 months of the year (1mm of rain corresponds to a litre of water in a m2). Technical Support: the region receives the support of a technician who helps the families maximise their yield of meat and other foods. Bakery: since the bakery was built in 2005 the region’s families have been able to enjoy delicious breads produced by the community, benefiting more than 80 families.